What a venue for the best wedding photography in Amsterdam: The Hortus Botanicus..! Sumptuous Palm House, amazing garden, beautiful couple, family and friends. 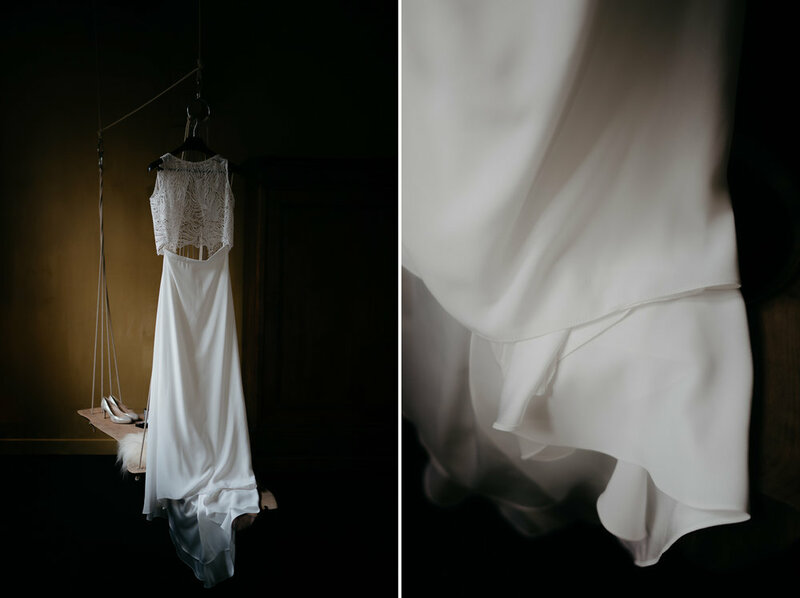 When I met Inez & Hesse about doing the photography for their wedding day in Naarden I immediately knew they were such honest and open people and I was happy to be able to say yes to their request. We got on well, and after hearing the story of how they met I was hooked. They wanted to also do a pre wedding photo shoot at or nearby their Church in Naarden. Naarden is an old fortified garrison not too far from Amsterdam. It is very impressive in its “Star Fort” formation, that had been built by the Spanish Empire in the 16th century, and made for some amazing pre wedding photos that you can see HERE:. On the wedding day itself, I started while Inez was getting ready for the wedding. She looked stunning in her dress at the Vesting Hotel where they chose to stay during the wedding weekend. Hesse meanwhile was organizing the guests at the nearby Grote Kerk, and WOW what a church indeed: such beautiful architecture and attention to detail. It rained a little on the day but that didn’t stop this wedding being one of the best I had all year. What a beautiful and elegant wedding from start to finish. Have a look below at just a small selection of the wedding photography and let me know what you think. Thanks Inez + Hesse for letting me into your lives and this special day.